by Professor Stefan White, Co-director of the PHASE research and delivery group (Place-Health Architecture Space Environment) at the Manchester School of Architecture, which is a collaboration between Manchester Metropolitan University and The University of Manchester. Our cities are typically not great places in which to grow older. Yet we know a lot about how to make them much more age-friendly places. We’re involved in research to support partners who are putting this learning into practice. We want to develop and spread that learning first in Manchester, then nationally and internationally. Currently, millions of older people in Britain miss out on much better lives because of inadequate neighbourhood facilities combined with poor transport. It’s often difficult for them to socialise, enjoy open spaces, buy good food, access entertainment, sometimes even to see a health practitioner. Such problems typically compound shortages for older people of right-sized, appropriately-designed local housing. Wealthier people can often resolve their difficulties - they can move to better served neighbourhoods, usually in the more expensive areas. However, most people struggle to find the resources. Indeed, the oldest, least healthy and least mobile tend to be farthest from what they need to live well while growing older. What’s to be done for those whose personal capacities are insufficient to create individual solutions for tackling ill-health, loneliness, boredom and isolation? At the Manchester School of Architecture, we’re finding ways to make a difference. Solutions lie in comprehensive dialogue among local people that informs smart neighbourhood planning. Drawing on latest research, these plans are executed by partnerships across key agencies. Creating, serving and facilitating this approach is the mission of a dedicated part of our School, known as the PHASE – Place-Help Architecture Space and Environment – research and consultancy group. A decade ago, we started small with local partners to create a handful of age-friendly Manchester neighbourhoods. We designed and delivered the world’s first age-friendly neighbourhood project to be inspired by principles set out by the World Health Organisation. Since then, devolution of health and social care to the Greater Manchester Combined Authority (GMCA) in 2016 has offered huge new opportunities to innovate and to expand such initiatives. ‘DevoManc’ has turned Manchester – one of England’s ‘sickest’ places for nearly 200 years – into what has been called the biggest healthcare experiment in the world. The goal is to combine the city region’s diverse, now unified, powers to maximise the well-being of its citizens. That aspiration sits well with our School’s goal to find and help coordinate the many institutional levers that might improve the lives of older people. This requires better planning by city-wide partnerships, informed by research. It means meeting directly with citizens where they live to involve them in developing ways to meet their needs and decide what might work well for them. My Chancellor’s Fellowship has, therefore, been an opportune moment both in the School’s well-advanced research programme and for Greater Manchester’s changing landscape, to explore how to scale these community-led visions of an age-friendly city. This year, I spent my Fellowship seconded to the Greater Manchester Ageing Hub, which brings the needs of ageing citizens to the attention of the GMCA. A tale of one Manchester public convenience shows what can be achieved. In Moss side and Hulme, we worked with local residents in an inner city area where some of Manchester’s poorest, oldest, and least healthy, citizens live. They told us that a local church was an ideal place for local services to engage with more isolated older people. We also discovered that NHS would like to use it for health checks and that the council thought it would be perfect for their public events. The Food Bank also saw it as an excellent location for distribution. However, apart from the Food Bank, none used it because the toilets lacked access for disabled people. These agencies individually lacked the powers to modernise the toilets. But the multi-agency partnership and our facilitation came up with a funded solution. As a result, the church is now the setting for transformed services to this previously neglected, ageing population. Typically, our resident-led partnerships include local housing providers, health and well-being professionals such as district nurses, community police, council officials, local councillors. These partnerships have three objectives: to find out how age-friendly a neighbourhood is currently, work out what could be done about it and then enact projects (over 100 so far) to improve the neighbourhood. In some situations this draws on a small projects investment fund that’s ring-fenced for the partnership. In other cases they are working directly with and gaining funding from their city partners. In the last two and a half years in the city of Manchester, we’ve had over 4,000 conversations with people about issues like this one, to understand their lived experience and how it could be improved. As researchers and architects, we co-create an action plan with residents. This brings together census data telling us who lives locally, plus analysis of how spaces work in the area, where facilities are and the transport links. Working in partnership with local statutory and non-statutory agencies, we develop an action plan, set out like an Ordinance Survey map, backed up by all this engaged research that sets out a list of priority actions. The process is underpinned by guidelines developed by the WHO for the coordination of housing, transport, open spaces, employment and civic participation to ensure that cities are well-planned for ageing populations. Unusual solutions have emerged. For example, we know that men are at much greater risk of being social isolated in later life. We could see that very few men were involved in one of our local partnerships. A resident suggested holding the next engagement event at a local pub. So the partnership board funded an entertainment and lunch club at the pub. Health professionals were initially unsure about a location serving alcohol and its associations with an unhealthy lifestyle. In fact, the club is not boozy and it ensured that the men had a good lunch and became more socially connected. Eventually, the brewery, delighted to find 40 men in their pub every Tuesday lunch-time, funded the project. It now encourages other local landlords to develop similar projects. A specific project during my Chancellor’s Fellowship has been to undertake a ‘right-sizing’ study. 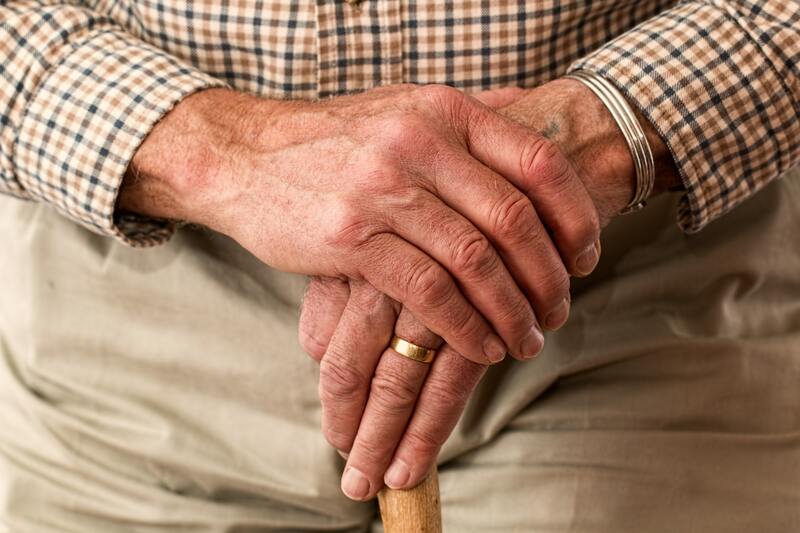 We found that older people are poorly served by the housing options available to them, with few incentives and limited opportunities to move in later life without leaving the communities they have grown attached to. The private housing market addresses these needs poorly, with most housing development focusing either on first time buyers, or custom-built ‘retirement villages’ that don’t meet the needs or aspirations of most older people. Alongside this work we have also developed our age-friendly contribution to the Greater Manchester Spatial Framework. It calls for new models of housing for older people and ‘age-friendly’ neighbourhood initiatives across the city-region. This is reflected in Andy Burnham’s recent Mayoral Challenge, which seeks creation of 50 age-friendly neighbourhoods over the next two years. The relationships built up before and during the Fellowship are enduring. Dr Mark Hammond, one of our lead researchers, will be seconded to the Greater Manchester Ageing Hub for three days a week over the next 18 months. PHASE is an integral, relevant and vital part of the team. We’re bringing unique skills and resources to a specific context. We see ourselves as involved in a conversation - not a dissemination - that is central to the research-led strategy at the School of Architecture. Our students have developed buildings for excluded groups that would otherwise not exist. This massive involvement of our students has provided many opportunities for experimentation and engagement with deprived older people - neglected citizens who might otherwise be beyond the reach of Greater Manchester’s agencies. It shows the mutual benefits gained by creating new relationships between research, policy and practice in the city, especially at a time when overall public expenditure is so highly constrained.